Post-Hire Background Checks | Justifacts Credential Verification, Inc. Which Post-Hire Background Checks Should Your Company Conduct? The pre-employment process is now complete. You are excited to welcome your new employee into your company with open arms. You have shown your due diligence by conducting a background search, you are confident that he/she has the required qualifications. Even more, you are confident they will not present a threat to your company. However, background checks on new employees are only effective as of the date of hire. What happens if your new employee is arrested or has his/her driving license suspended after hire? In today’s ever-changing world, more and more companies are conducting post-hire background checks in order to mitigate company risk. Employers are realizing that reoccurring background checks are good business practice for certain positions. Conducting checks at regular intervals helps protect your company by ensuring a more secure workforce. Because of federal and state mandates, post-hire background checks are already required for many employers. For example, the medical and transportation industries are required to conduct annual searches on current employees. These annual searches help employers maintain workplace safety. The Department of Transportation requires employers of commercially licensed drivers to audit driving records and conduct random drug screening, as well as perform physicals. To meet state regulations, healthcare employers screen licensed healthcare professionals for healthcare sanctions (Medicare or Medicaid fraud) through the Office of Inspector General and the General Services Administration. Growing concern for the safety of children has prompted an increase in ongoing screenings for coaches, volunteers, counselors, and educators. Additionally, caregivers working with the elderly and those requiring assisted living also require annual background checks. Rosewood Services, a special needs agency in Great Bend, Kansas, cares deeply about the individuals they serve, the programs offered, and the communities that embrace those served. To maintain their high level of service, Rosewood conducts annual driving and criminal records checks that include adult and child abuse searches. Rosewood Services is dedicated to ensuring a safe work environment. Many companies conduct basic screenings for their entry-level candidates. Criminal records and employment eligibility through e-verify may be all that is requested for these new employees. However, when an employee is being considered for promotion, an additional, more comprehensive search should be considered. For example, sometimes employees are being considered for positions that require a certain level of education. In this case, it would be wise for the employer to verify the education credentials before a promotion is offered. Interviews also should be conducted with coworkers and managers to get a strong understanding of how the individual may fit in with his or her new role in the company. Post-employment checks are an effective risk management tool. 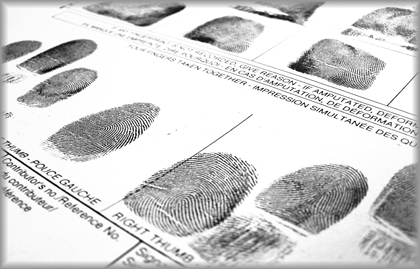 A candidate with a clear background check at the time of hire may commit crimes years after they have been employed. As with pre-employment screenings, employers who conduct post-employment screenings are also bound to the requirements of the Fair Credit Reporting Act. An employer must adhere to the Adverse Action Process if any information from the background check will have a negative impact on the future of the employee’s employment with the company. While pre-employment background checks minimize the risk of bad hiring decisions, post-employment checks minimize your company’s exposure to risk over the long term.